So you'd like to try the track? This Quick Start Guide is perfect for you! Join us at the Velodrome from 7:00pm every Monday night to watch the action. If you introduce yourself to the Coaches they'll tell you a little bit about the night's session, introduce you to some of our Members and answer any questions that you might have. Step two: get your membership. 3 Month Recreational (Silver) Licence. Perfect for trying Track but not making a major commitment if you aren't sure if you will want to continue. You'll have access to everything the Club does on the Velodrome and the Road and if you like it- you can upgrade later. 12 Month Recreational (Silver) Licence. Just like the 3 Month licence but it is valid for longer. 12 Month Racing (Gold) Licence. 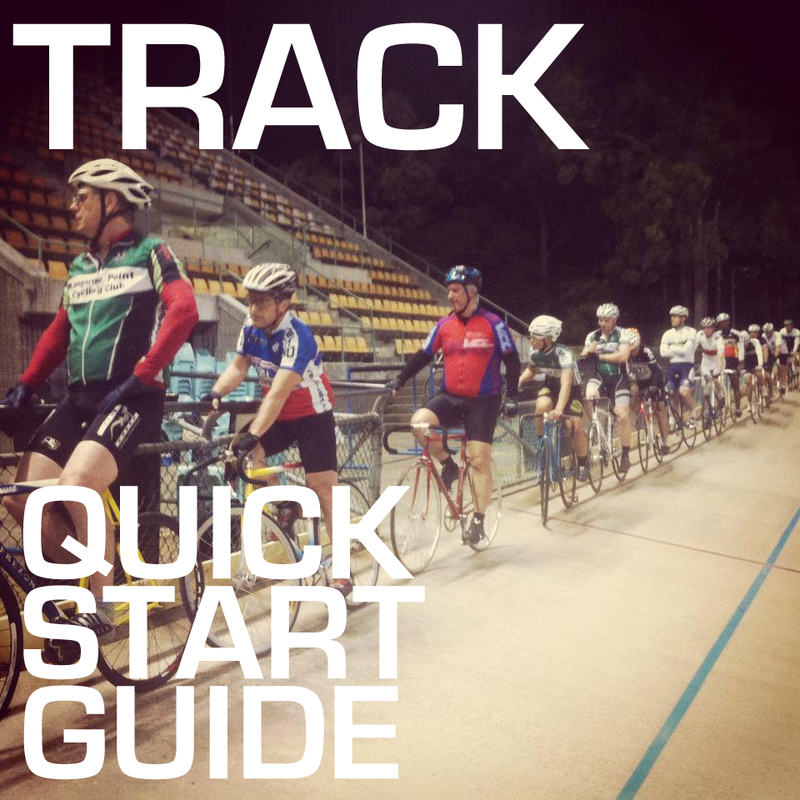 Perfect if you're planning to get serious and start racing on the velodrome or the road (read our Quick Start Guide: Racing) if this is of interest. You can always upgrade to this licence from a Recreational (Silver) Licence, so don't jump in with the extra cash straight away if you don't need to! BYO or borrow one of ours! We have a handful of loan bikes to help you get started. You can ask the coaches to bring one down for your first session, you'll just need to bring your pedals. They'll get you set up and ready to ride. Or you can drop in to any bike shop and buy one. Join us at the track from 7:00pm any Monday night for your first session. Our Coaches will give you a great induction to the track, teach you everything you need to know and get you started rolling around the flat part of the track. From there, you'll develop confidence and speed and be up rolling with the rest of the group in no time at all! Weekly Track Training is on every week for you to train and work towards fitness or racing goals. Weekly training rides are on regularly for you to train and enjoy getting fitter and faster on the road as a bit of cross-training. You might like to have a go at racing to see what all the fuss is about, and our Coaching and Mentoring team can help you prepare for the summer Track Racing Season, BIlly Wright's Tuesday Nights or the Repsych Winter Series. You can ask our Track Coaches anything that you like at any time.